Clients look to David Zobel as both a trusted advisor and experienced advocate. Whether counseling clients on business planning and transactional matters in the boardroom or defending client interests in the courtroom, David utilizes a direct, common-sense approach in understanding his clients’ goals, managing their risk, and resolving claims. Attention to detail, timely results, and a genuine interest in his clients’ successes serve as the foundation of his dynamic and rewarding practice. Commercial Litigation. 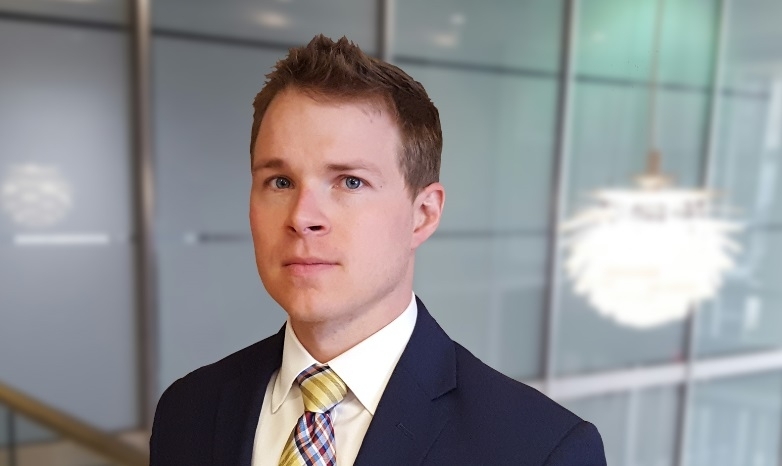 David has successfully prosecuted actions and defended clients in multiple state, federal, and administrative forums, including Missouri’s Supreme Court in Naylor Senior Citizens v. Sides Construction, et al., 423 S.W.3d 238 (Mo. banc 2014) which clarified Missouri’s restrictions on businesses and the unauthorized practice of law. David’s trial practice includes an extensive record of briefing and arguing dispositive motions, representing clients at mediation, serving as trial counsel, and negotiating settlements. Banking and Finance. When representing lenders, David advises on and prepares loan documentation for acquisitions, lines of credit, and operating loans. He also assists lenders with troubled loans from initial loan review to modifications and forbearance agreements, deed-in-lieu agreements, foreclosures, and workout litigation and collections. Real Estate. David assists buyers, sellers, landlords, and tenants in reviewing, negotiating, documenting, and closing commercial and residential property transactions. His real estate practice also includes advising community associations and representing national title underwriters in correcting and resolving title disputes. Corporate. David counsels businesses on a variety of transactions including mergers and acquisitions, buy/sell agreements, licenses, contracts, entity formation and re-structuring, shareholder agreements and disputes, real estate transactions, succession planning, and general corporate governance. Probate, Trust and Fiduciary Representation. David represents regional and national surety companies managing and limiting bond liability exposure in probate disputes. In addition, he assists families, trustees, personal representatives, and other fiduciaries in understanding and navigating probate and trust administrations. Outside of the firm, David volunteers time in his community. David was appointed to the Board of Adjustment for the City of Olivette and the Board of Directors for the Clayton Chamber of Commerce. He also serves as a trustee of his homeowners’ association. Prior to joining Danna McKitrick, David served as a legal extern at the Missouri Court of Appeals. Should I Employ an Attorney to Assist My Real Estate Business? David A. Zobel Elected Principal at Danna McKitrick, P.C.